source Thank you to everyone who sent us messages the last few days! Your messages mean so much to us and help to give us the strength we need to get through some of these hard days. I wish I had better new to share with everyone, but we didn’t get the news we were hoping for from the MRI scans yesterday. The scans showed that there was slight growth of nodules near the tumor in her brain, which is not what we were hoping for. Dr. Chi, our oncologist in Boston, said the amount of growth was not alarming, but it was in fact growth which is not what they want to see. She said it is impossible to know if the tumor has been growing the last 12 weeks or if it has just start growing in the last 6 weeks without the chemo. Either way though, she feels we need to make a change in treatments and get started soon. She said the growth could very well be because she hasn’t been able to have chemo the last 6 weeks, which is very telling in how fast growing this tumor is. The good news is that the spots in her spine remained stable. direction for using levitra pills At this time, Dr. Chi, doesn’t feel it is a good idea to continue with the Avastin and Irrinotecan because of Emma’s kidney function. She is afraid even if the protein numbers do come down, they will just go back up again after starting treatment, and we need to get going a treatment that she can have consistently to help prevent more growth. Dr. Chi recommended three different treatments. The first is a MEK inhibitor which would help inhibit the growth of the tumor. This is a very new treatment and is currently a clinical trial. The bad news with this is that it is not a clinical trial through Boston Children;s. It is being trialed through a different brain tumor consortium, which mean we would be referred to a different hospital to receive the trial. It is being trialed at St. Jude’s, in Chicago, and LA. The MEK inhibitor is an oral drug that Emma would take everyday. We would probably have to go to the hospital for the first few weeks of treatment and then would do the other treatments at home and follow up at the hospital like we do now in Boston. This however means we wouldn’t follow up in Boston while on this trial. The second option is a Mtor inhibitor also inhibits growth of the tumor, but attacks a different chain of growth in the tumor. This treatment was trialed out of Boston a few years ago, and we could do the treatments from home and continue to follow up in Boston. This is also an oral drug, which means we aren’t sure if Emma will be able to take it orally or would need a feeding tube. The side effects of both the MEK and Mtor treatments are effects on cholesterol and liver function as well as nausea. The third option TPCV, which is a combination of oral and intravenous drugs that has been used for over 20 years. These drugs are administered over a 6 week cycle on a very strict schedule. The main downfall of this treatment is that it could cause a secondary condition of leukemia in later years. This is very scary to us since the brain tumor is obviously not going anywhere. Dr. Chi suggested we talk some with Dr. Abromowitch in Omaha and make a decision in the next few days so that we can get treatment started again soon. http://femininemoneymagic.com/?x=viagra-wonder-drug-ethical-responsibility-of-companies We are extremely disappointed and sad about the growth of the tumor and that we will have to change treatments again. It is very disheartening to know we have to start over again, which means at least another year of treatments for Emma. The hardest part is knowing that she is only two years old and we have already gone through two treatments, and that the last one was working, her body just couldn’t tolerate it anymore. We have some big decisions to make again in the next few days. It is hard to know what is best for Emma, when we have such a limited understanding of the treatments. We could use a few prayers for strength and guidance this week as we try to decide what treatment will be best for Emma. follow url The good news of the trip is that we started the day with the neurologist and they continue to be pleased with development. They were very happy to see her walking in her walker and that she can now tolerate being on all fours. They were also happy with her progress in receptive language. We will continue to work on her speech and expressive language. It sounds like after talking with them they are ok with going ahead with the botox treatments on her eyes in the near future. So I guess we have that to look forward to. http://junkyardangel.net/?x=viagra-wonder-drug-ethical-responsibility-of-media Even though yesterday was a very hard day, we ended the day by going to one of our favorite restaurants here in Boston, Union Oyster House. When we were here in October we just by chance started talking with our waitress and in our chat we found out that she does a fund raiser every year for the Jimmy Fund Clinic here in Boston because she has lost a family member to this horrible disease. We have kept in touch with her and her mom, who also works at the restaurant. So even though it was a very hard day, ti was nice to end the day by seeing some friendly faces who take very good care of us while we are in Boston. We can’t thank all of the staff at Union Oyster House for their continued kindness, support and generosity. Thank you for putting a bright spot in our day yesterday! 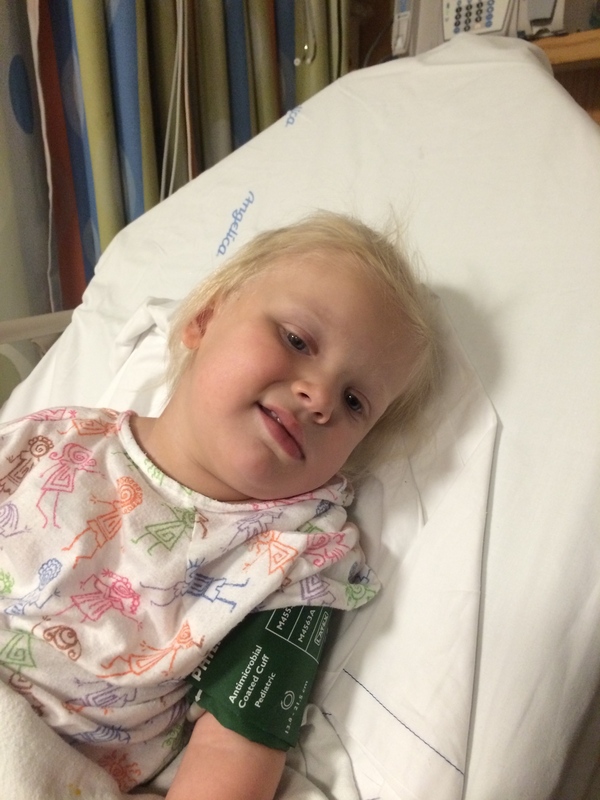 source link Thank you to everyone else who continues to follow Emma’s story and support us. Your thoughts and prayers are what helps to keep us going on this long journey! !